Leap of faith - true love or not true love? Home Love Leap of faith – true love or not true love? 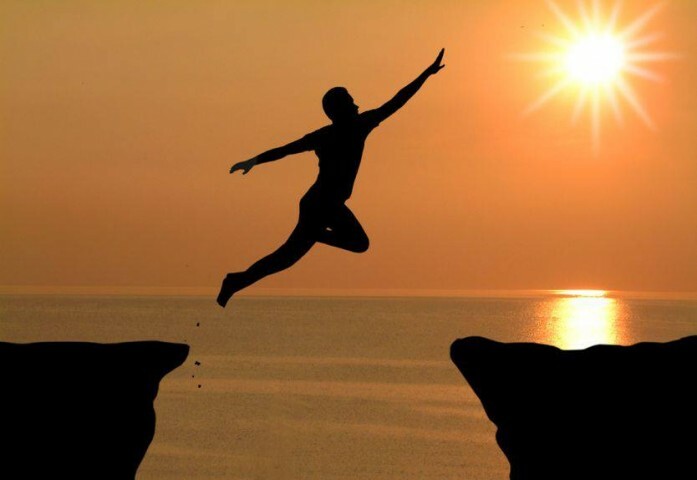 Leap of faith – true love or not true love? Either I hadn’t discovered what true love was or I had lost sight of it. I found myself feeling as though I could invent feelings for anyone and gave them the characteristics that I desired, they would be the one for me. I don’t remember the last moment in which I had that toe-curling, stomach churning, ridiculously intoxicated on life feeling. This could mean two things, the first being that I hadn’t had this feeling in the longest time and hence had forgotten what it felt like or two, that I had sold my soul to the devil for I was so damaged that I couldn’t recognize pure from evil anymore. Had I really learnt to settle for so less that I didn’t even know if I wanted something or anything anymore? The ones that matter will be here to stay, the ones that don’t, don’t matter to start with. LIES. We read these quotes and these books and these poems and try to create a connection so that we know that someone in the world has felt the way we have. We find solace in similarity, though everyone claims they want to be unique, its sad that’s a lie too. If you had to peek into my soul and pick out my most wanted fantasy you would see me standing at the alter in a neon dress while my fiancé stood opposite me, cigarette in hand and his vows in the other. He wears vans and its safe to say he has more than a couple of tattoos. Our friends resemble the cast of various wacky television shows put together and my parents would be the coke addicts sitting in the front row. November rain plays on a sound system you wouldn’t exactly call subtle and the ambience looks like it came out of a fairy tale. This probably isn’t your conventional wedding but that’s the thing, it’s a fantasy. You can catch me planning this out-of the box fantasy for hours, I can truly get lost in it and its not prince charming that I spend so much time thinking about, it’s the change that I have learnt to adapt too that I am attracted to most. I always imagined myself to be different and lately, I saw my priorities change. I never said I would be that person that would be inspired by anything but the beauty of life and now I find myself being swooped away by even the slightest hint of kindness of any human heart that showed me affection. I was a wreck. They say you should always be with someone that loves you more than you love them and for the longest time I believed “they” didn’t know what they were talking about. For the longest time I believed “they” had never fallen in love the way I did, today I realized “they” loved just as I did and got their heart broken just as I did to have come this conclusion in the form of a quote. The safest way to keep your heart from getting crushed is to be with someone that loves you more than you love them, that way they would do everything in their power to keep you happy. The tragedy in this equation though is that you will always love someone that you could never have had. Some say you should take a leap of faith; mine was getting out of something that I didn’t want to leave so I apologize if I have completed my quota of leaping for this lifetime. Ironically, I have no regrets. Ria Sharma is the founder of Make Love Not Scars, a youth driven NGO that works in all aspects of rehabilitation in the field of acid attacks in India. Ria finished her schooling from pathways World School in Gurgaon and has a BA (Hons) degree in fashion from Leeds College Of Art in the United Kingdom. A young individual that believes in the power of justice, the strength of the human spirit and the next generation that is ready to help eradicate social stigma. Determined to bring about change, the term impossible is just another opportunity in her opinion.